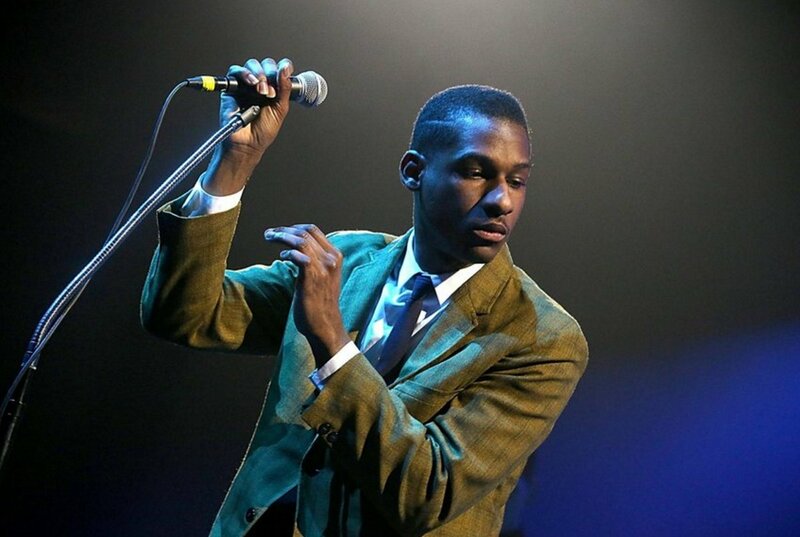 Leon Bridges was supposed to be a dancer. The Grammy-nominated retro-soul singer was studying ballet, jazz, African and modern dance when he first started jamming with a follow schoolmate. One day someone heard them and told Bridges he sounded pretty good. That’s when there was a shift. “From then on I was like hey, I want to write my own R&B songs because I loved R&B so much so I went out and bought a guitar,” says Bridges. His debut album, Coming Home, is a mix of soul and gospel that harkens back to the likes of Sam Cooke. His tour consists of classic theaters like The Apollo and Oakland’s Fox Theatre. ESSENCE talked to Leon Bridges about his classic feel, his initial vision for his debut album, and finding hope in the midst of struggle. Why did you choose to go with a retro-soul sound? I grew up with music that was super big production and modern singing styles, so it an eye-opener to see the R&B music that started around the 50s where everything was stripped down. I loved the idea that all of these guys were playing live, straight to tape. I loved how in the midst of racism and struggle these guys were able to make great love songs. Did you record Coming Home the same way? Yes, we basically recorded the whole record straight to tape, live. And not just for the sake of being retro. It’s a great feeling to play it all live and look out on the floor and see everybody is feeling it. There’s no “hey,” saxophone player you come on Tuesday, guitar player you come on Thursday.” There is such a beauty to playing it all together as a family. What was your vision for your debut album? I was thinking on a very small scale. I wanted to make a record that was solid and something that I could just say, “Hey, Fort Worth, look what we did in our hometown.” I didn’t think that it would go outside of that. It totally shocked me that people outside where digging what I was doing. When I found out about the Grammy nomination, I busted out into a happy dance. It’s hard to put into words I didn’t think that my record would be worthy to be nominated for a Grammy in the R&B album category within the first year. That’s crazy. I did not expect it at all. The video was a collaboration and we wanted to go route that wasn’t naturally expected from us. You know you’ve seen the “Coming Home” and “Smooth Sailin’” and those were all fun. I just wanted the honesty to just really be laid out with this video. This is me in real-time. In the course of the video you see real people. I just wanted to show the universal struggle of black families and black people. Did you think about how people might interpret the message of the video? Yeah. I definitely thought of it. I’m not a political person. I wanted a video that would heal people, something that would bring people joy. That was the original intention when I wrote the song. I wanted to highlight and show pictures of just black struggle and that there is hope at the end of that. The hope that out of all of the struggle and all of the pain that God is at the end of day the rock and somebody to have hope in.